Tanzanian singer Diamond Platnumz just turned 28 years a few weeks ago. He is however publicly dating Zari Hassan who is 10 years older than him. 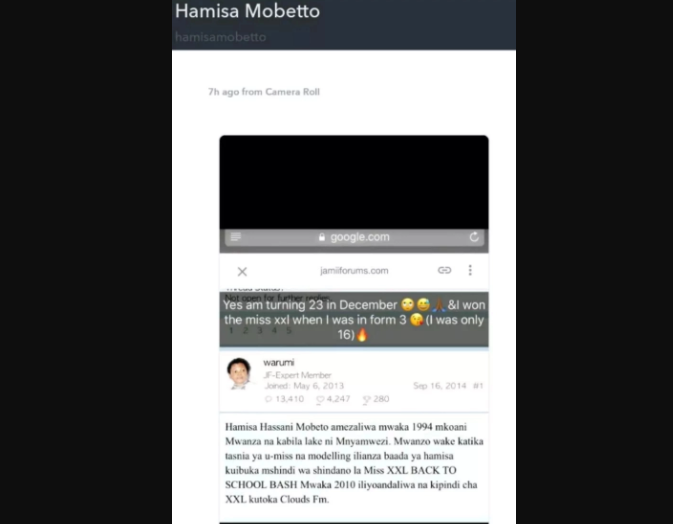 But now Hamisa Mobetto who is in her early 20’s is involved with the singer. When fans assume that Diamond Platnumz is interested in older women, turns out it’s a mix and gather style for him. About a year ago he is said to have been involved with a 19 year old lady Official Lynn who got pregnant but lost her baby. Now the singer has an adorable baby boy, Abdul Naseeb with Hamisa Mobetto who is barely 25 years old. The young lady has however been giving Zari a hard time as she is proving to be a favourite to Diamond Platnumz team. Well, just recently that she won miss XXL when she was only 16 years. She then became popular and became a model. This December she will be turning 23 years…yes Hamisa was born in 1994 and is 5 years younger than Diamond Platnumz. Next articleKhaligraph Jones Puts His Car On Sale, Is He Broke?